By Amy Sherman on Friday, June 9th, 2017 at 2:01 p.m.
Data from the National Oceanographic and Atmosphere Administration shows rising temperatures. Fox News’ Greg Gutfeld says people who cite statistics about the hottest year ever or high temperatures are spreading "B.S." He says people who make such claims are not telling the full story about temperature statistics. "If you asked them what the increase was, they wouldn't be able to tell you that every single year that there's an increase, it is within the margin of error, meaning it isn’t increasing," Gutfeld said June 2 on the show he co-hosts, The Five. "So, those are called real truths," he continued. "The poetic truth is the chaos and the hysteria, because that plays to the media. And it makes you feel so important. And you get to punish America for being so successful by doing these stupid deals. But if you read the facts about the high temperatures, about the reality of our past, it is all B.S." Gutfeld made the statement on The Five as the panel discussed President Donald Trump’s decision to pull out of the Paris climate agreement. 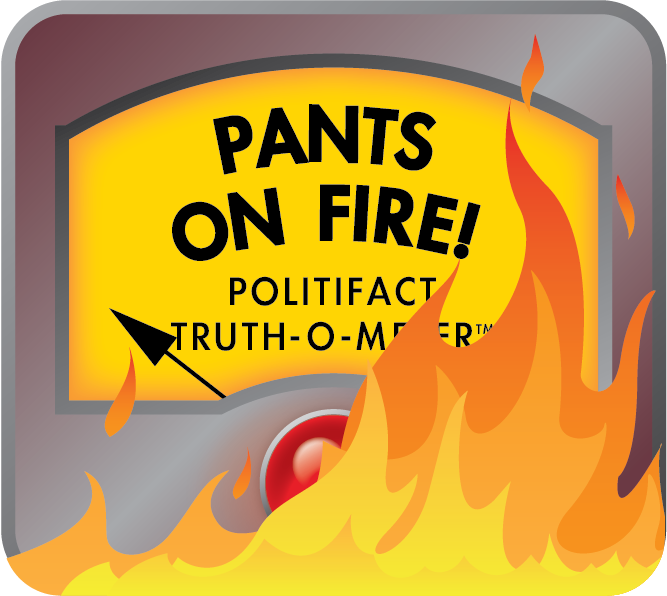 We interviewed several scientists who said Gutfeld’s statement -- that temperature increases are within the margin of error and therefore not increasing -- is wrong. Rather than point to "single year" increases, experts said that long-term trends clearly show the temperature has been rising for decades. Robert Jackson, chair of the department of Earth System Science at Stanford, said Gutfeld’s statement, scientifically speaking, "is rubbish." There are two main sources of data cited to look at temperature trends: the National Oceanic and Atmospheric Administration and the NASA Goddard institute for Space Studies. Both show a trend of rising temperatures. A Fox News spokeswoman sent us articles stating that 2016 data on rising temperatures was deceptive because of "uncertainty in the statistics" or because news reports hid information on the margin of error. Gutfeld focused on "single year" increases. Such comparisons don’t tell the full story about rising temperature, because there is natural variability year over year. It is more useful to look at long-term trends such as comparing decades, said University of Miami’s Ben Kirtman. The statement by Gutfeld "indicates a profound misunderstanding of climate science and statistics," Kirtman said. "Year over year you can’t be sure that one year is a statistically separate warming from the previous year, so you have to take a little bit longer view to remove some of the natural fluctuation," he said. But by looking at climate data over decades, it shows a clear rise in temperatures. NASA tracks the annual temperature anomaly which means a change, up or down, from a long-term average. In January 2017, NASA reported that the Earth’s 2016 surface temperatures were the warmest since modern recordkeeping began in 1880, according to independent analyses by NASA and NOAA. Globally-averaged temperatures in 2016 were 1.78 degrees Fahrenheit (0.99 degrees Celsius) warmer than the mid-20th century mean -- making 2016 the third year in a row to set a new record for global average surface temperatures, NASA concluded. NASA stated that even taking into account the uncertainties in the interpretation of year-to-year temperature differences, NASA estimated 2016 was the warmest year with greater than 95 percent certainty. NASA attributed the rising temperatures driven largely by "increased carbon dioxide and other human-made emissions into the atmosphere." According to NASA, for recent years the margin of error is about ±0.05 degrees Celsius. Uncertainties can arise in the data due to different methods in dealing with missing data and weighting the two hemispheres; however, the uncertainty is quite small, said Kevin Trenberth, a Distinguished Senior Scientist in the Climate Analysis Section at the National Center for Atmospheric Research. Trenberth said that 2014 was the warmest on record at that point, but perhaps not outside uncertainty. But 2015 broke that record well outside the uncertainty, and then 2016 further broke that record, again well outside any uncertainty. So 2014-16 are the warmest three years on record, he said. Reto A. Ruedy, an expert at NASA Goddard Institute for Space Studies, said Gutfeld’s statement "lacks any logic." "It argues that anything that changes less than the margin of error within some arbitrarily selected time interval (here a year) necessarily does not change," he said. "By the same logic you can argue that babies don’t grow in size, since within a day or even a week they grow less than the margin of error in determining their size." The long-term trend which shows an overall rise in temperature since 1880, said Mark Serreze, director of the National Snow and Ice Data Center at the University of Colorado. "Gutfeld uses flawed logic to claim that there is no trend. But there is a trend," he said. "The lesson here? Always look at the actual data." Gutfeld said, "every single year that there's an increase (in temperature) it's within the margin of error -- meaning it isn't increasing." While some years are within the margin, others definitely aren't, so Gutfeld is wrong when he says "every single" year is within the margin of error. Also, long-term trends over decades show that temperatures are clearly rising. So Gutfeld is wrong both on the details and and the big picture. We rate his statement Pants on Fire. Published: Friday, June 9th, 2017 at 2:01 p.m.